Kavi Karunadeva joined Information Venture Partners in 2018 and is focused on investments in FinTech, InsurTech and enterprise software. 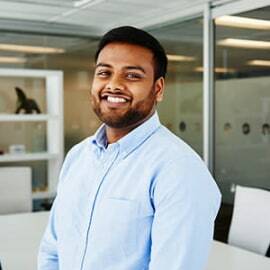 Prior to joining Information Venture Partners, Kavi worked at Manulife Capital Ventures (MCV), a returns-driven venture fund backed by Manulife/John Hancock, where he made investments in InsurTech, HealthTech and enterprise SaaS. At MCV, Kavi was responsible for all aspects of the investment process including origination, due diligence, execution and portfolio management. Prior to MCV, Kavi worked for Manulife Financial in the Global Asset and Liability Management division. Kavi holds an HBA from the Ivey Business School at the University of Western and has passed all three levels of the CFA Program.